When I read the draft of Craig Dilouie‘s Suffer the Children several months ago, it literally blew me away. As a father of a young child, it wasn’t tough to make a connection with the main characters in a world where the children suddenly die…but then come back. It’s a tough-as-nails, well-crafted horror story with a heart that hammers right along. You pick this one up, you ain’t putting it down. 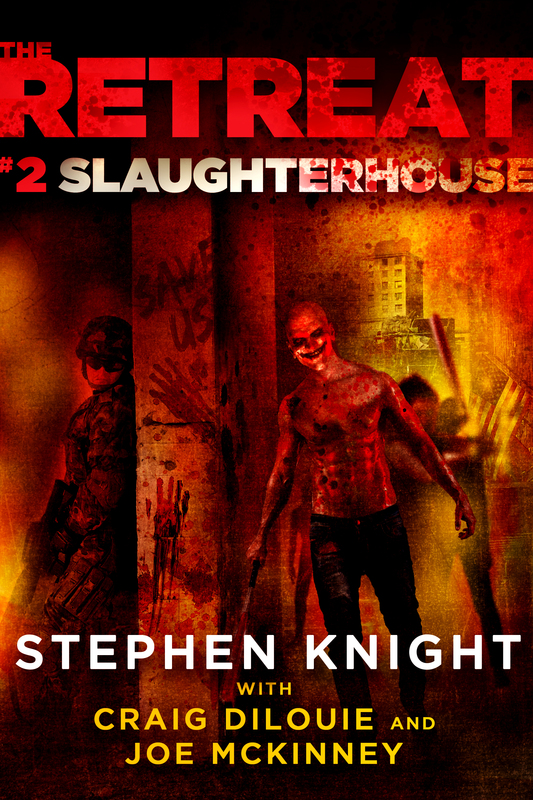 THE RETREAT #2: SLAUGHTERHOUSE Released! The Retreat #2: Slaughterhouse by Craig DiLouie, Joe McKinney, and myself is now available on Amazon, albeit without a cover–there’s a technical glitch holding it up, but I’ve attached the final below for all to behold. This will remain on Amazon solely for the next three months or so, and then it will spread out to other markets.